The Delamain Vintage 1977 Grande Champagne Cognac is one that's truly worthy of the grandest of occasions. 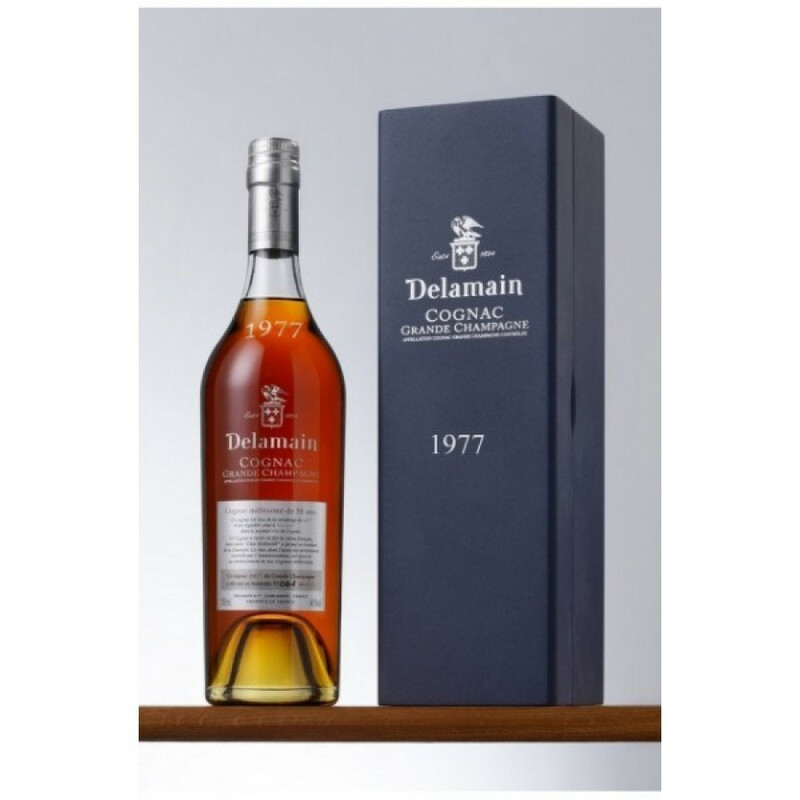 Delamain only create very small runs of their vintage Cognacs - so this is a chance to get hold of a vintage that would be an honor to taste (or, for those with an eye on future assets, a great choice for an investment). This vintage Cognac proves why the Grande Champagne terroir is held in such high regard and is referred to as the 'premier cru'. It's chalky soils have embedded their quality on the eaux-de-vie produced from them. And this Cognac is truly a wonderful example of all of the delights it can offer. The perfect digestif, this is a Cognac to savor and linger over. A real gem to have in any Cognac collection, or a gift that would be gratefully received by any lover of fine liquor.